I think the question: "how many are there?" is a very important one for this. I would personally never buy a game for that much unless I had a better idea how many of these things exist or for that matter how many could be made again. I mean come on, it's a sports game and those typically have the worst resale value. So I guess my answer to your title question is, IMO, no. @Travis - You bring up a good point when you say "how many could be made again". I personally don't think there are any more of this game right now, but EA could always make more of them like Atlus did with Persona 2. Persona 2 was only selling $90 or so and it was reprinted. 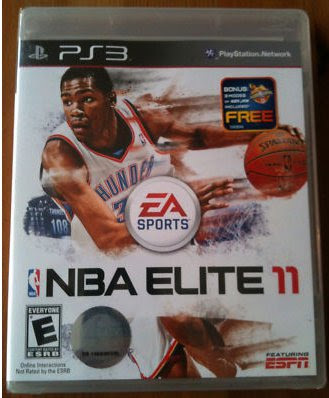 There is nothing to stop EA from doing the same thing (unless they lose the NBA license). Being a sports game that was supposed to have been released in 2010, with the year 2011 printed on it, EA would never reprint this. The game was an expensive embarrassment for them, described by EA's own CEO as "mediocre". @Jason - good points. EA might not reprint because the game was not good and would be an embarrassment to them. called back games not destroy yet. what if you were playing it and 1 of ur friends on PSN saw? !